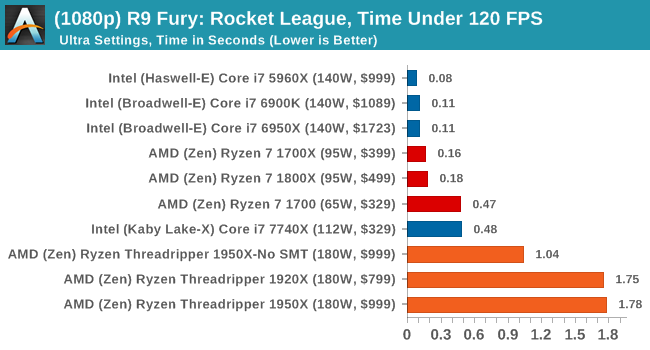 With Ryzen, we encounted some odd performance issues when using NVIDIA-based video cards that caused those cards to significantly underperform. 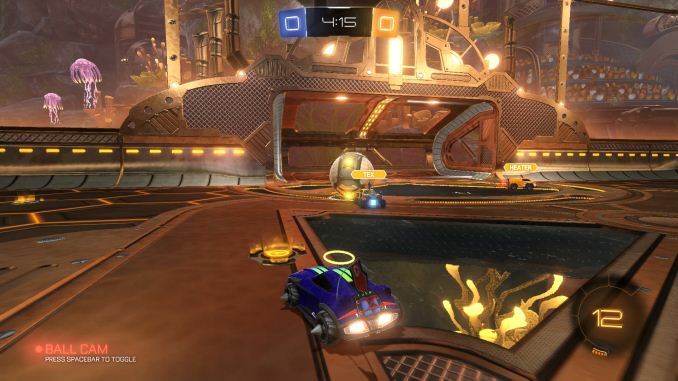 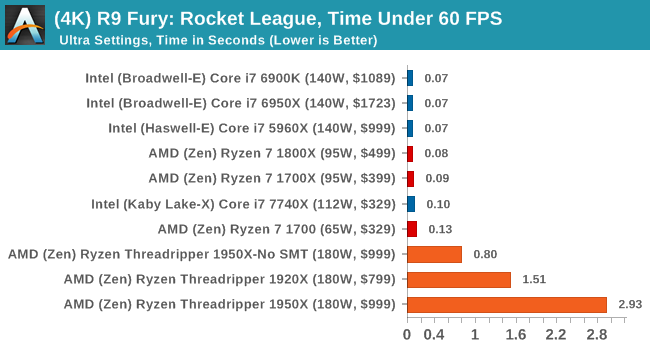 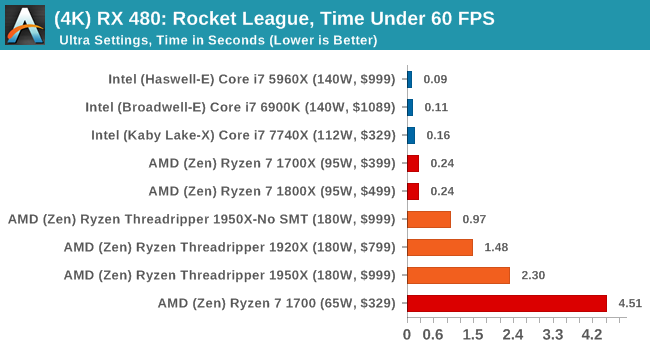 However equally strangely, the issues we have with Ryzen on Rocket League with NVIDIA GPUs seem to almost vanish when using Threadripper. 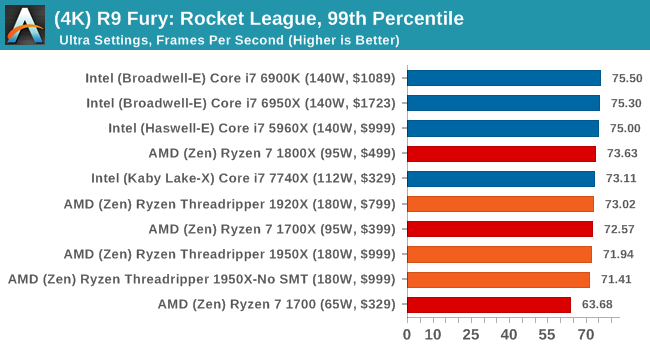 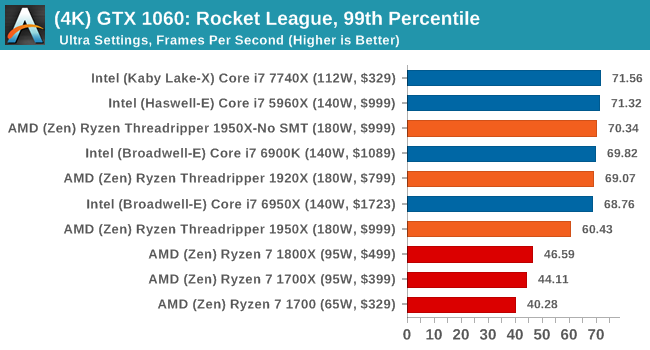 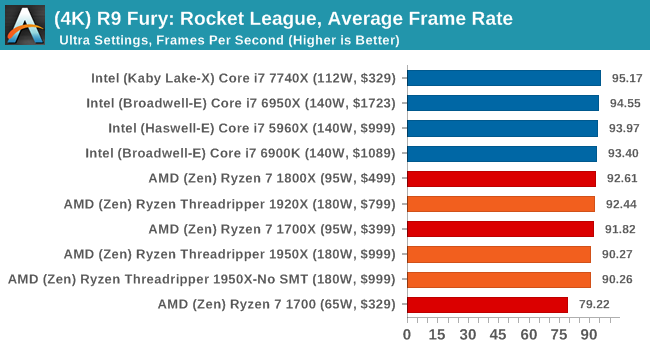 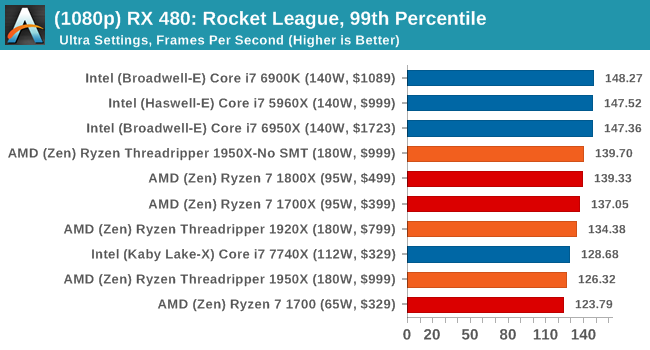 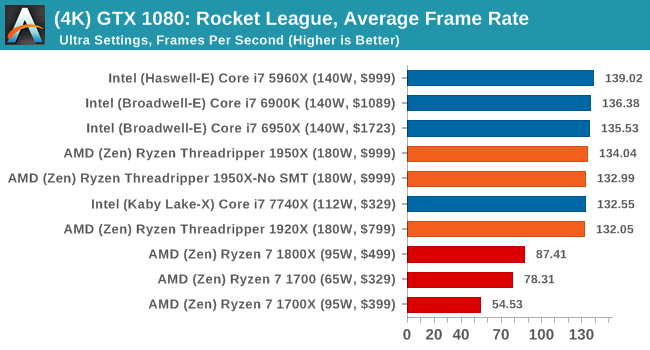 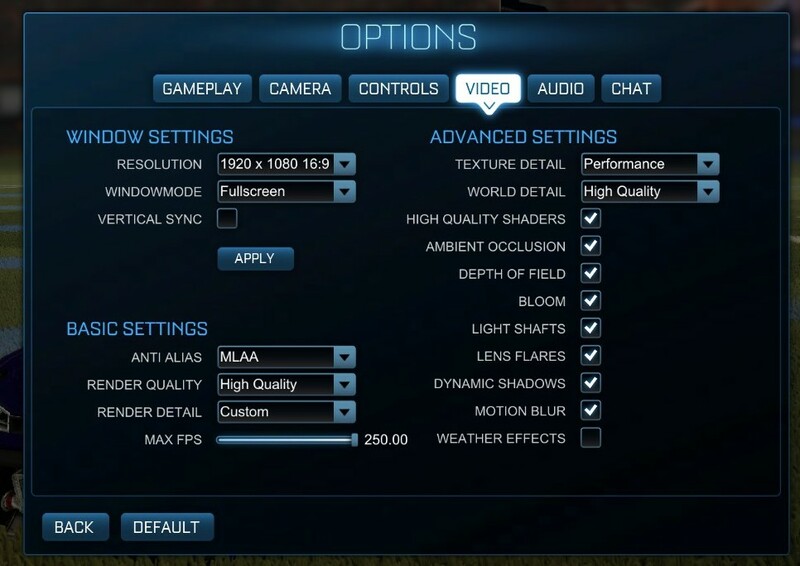 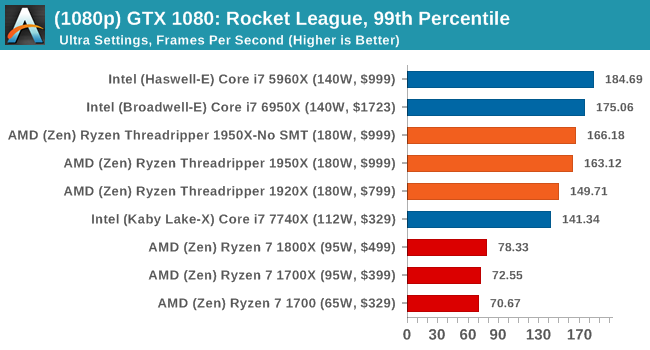 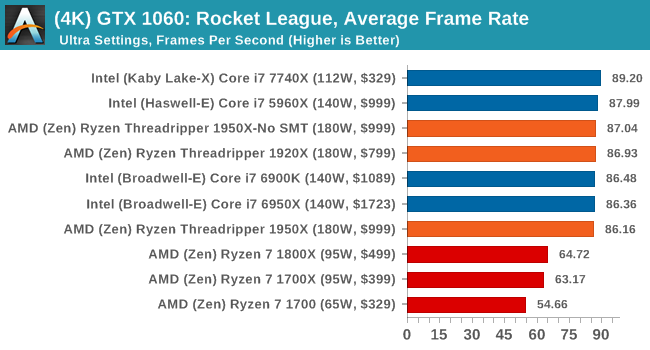 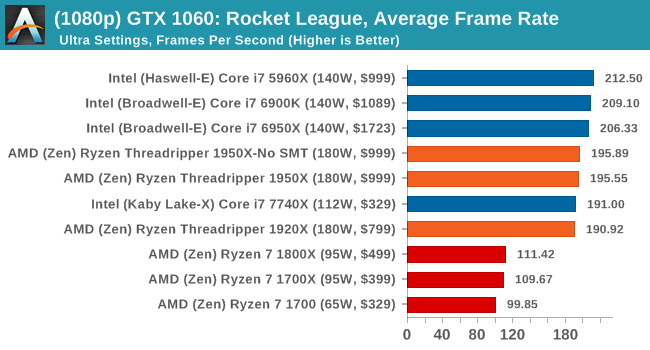 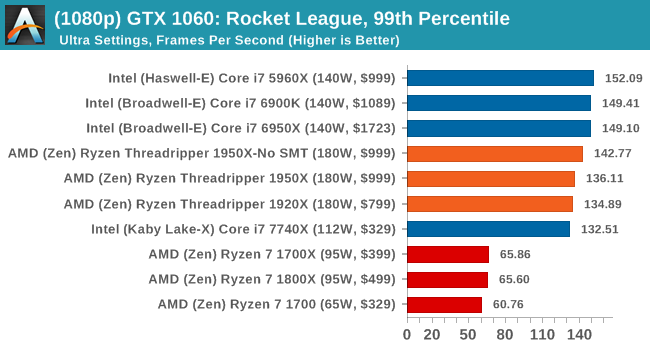 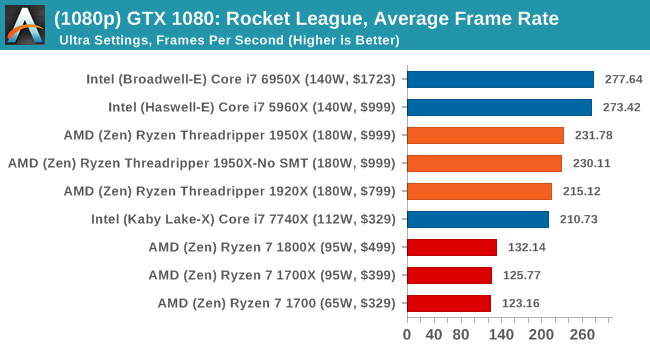 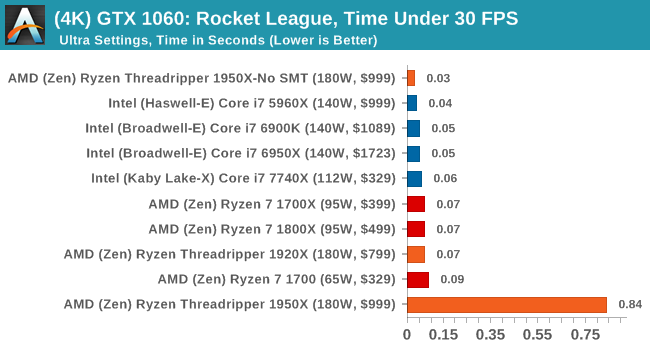 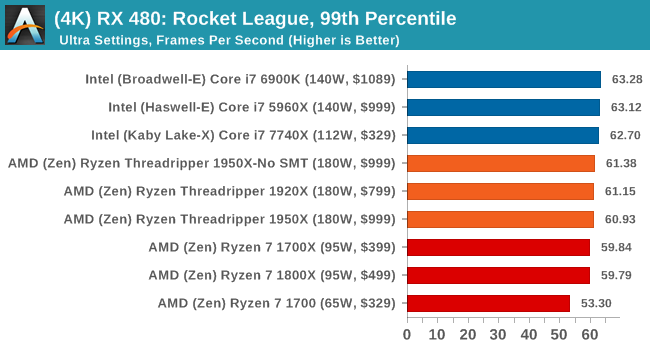 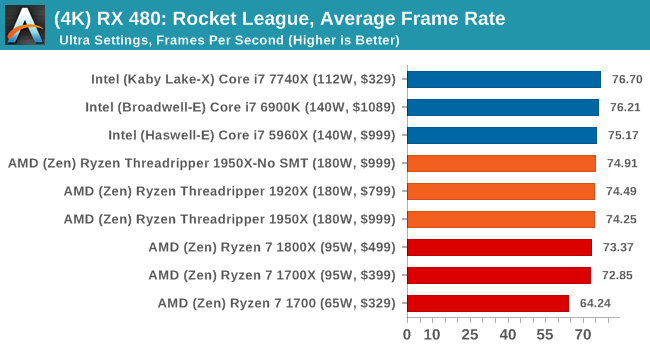 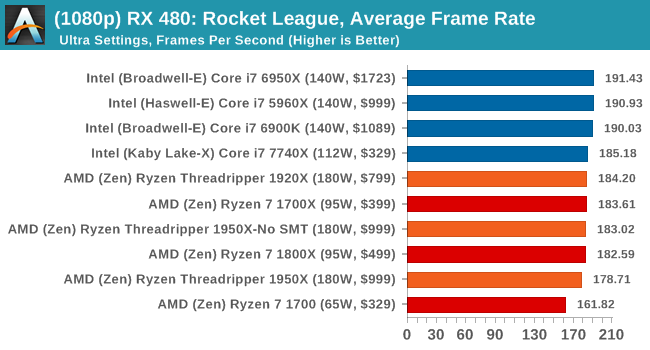 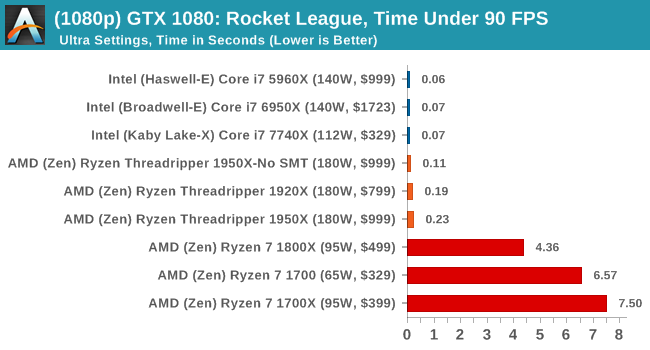 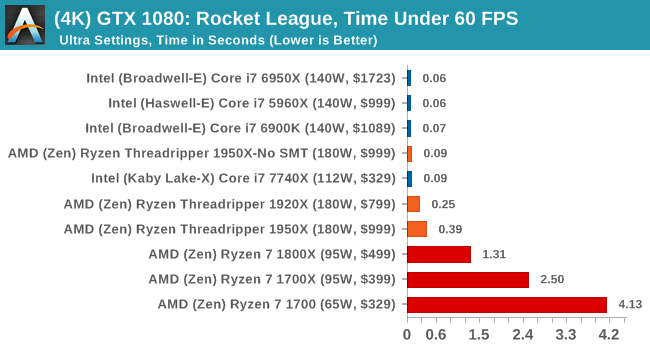 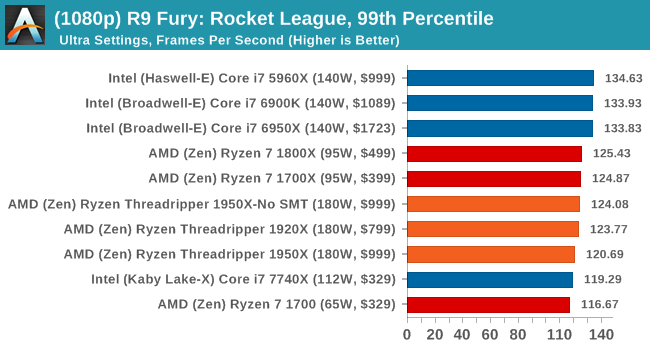 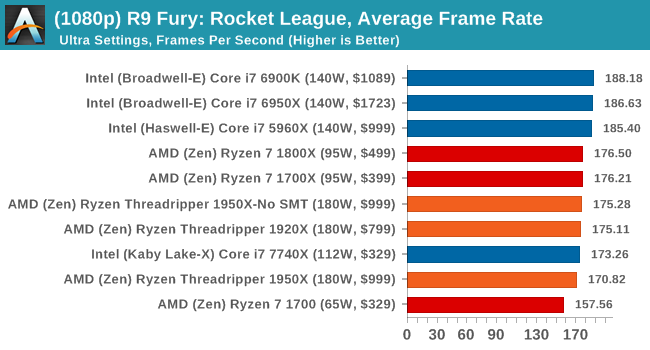 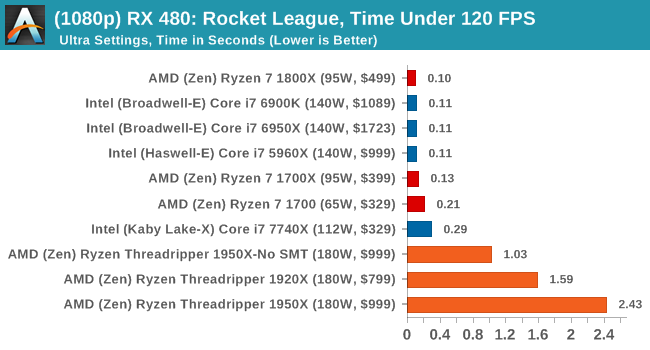 Again, still no easy wins here as Intel seems to take Rocket League in its stride, but SMT-off mode still helps the 1950X. 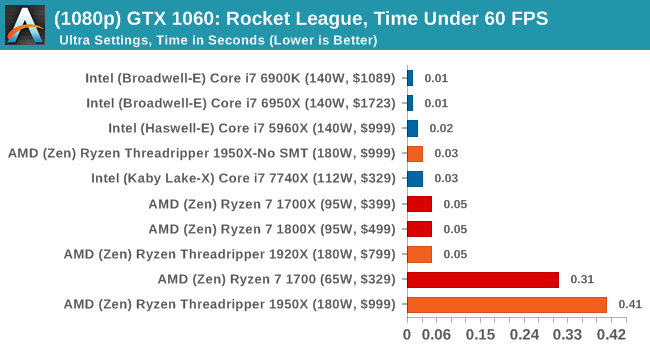 The Time Under graphs give some cause for concern, with the 1950X consistently being at the bottom of that graph.